2. Secure loose rain gutters and downspouts and clear any clogged areas or debris to prevent water damage to your property. 3. Reduce property damage by retrofitting to secure and reinforce the roof, windows and doors, including the garage doors. 4. Purchase a portable generator or install a generator for use during power outages. Remember to keep generators and other alternate power/heat sources outside, at least 20 feet away from windows and doors and protected from moisture; and NEVER try to power the house wiring by plugging a generator into a wall outlet. 5. Consider building a FEMA safe room or ICC 500 storm shelter designed for protection from high-winds and in locations above flooding levels. 1. Review your evacuation route(s) & listen to local officials. 2. Check-in with family and friends by texting or using social media. 3. 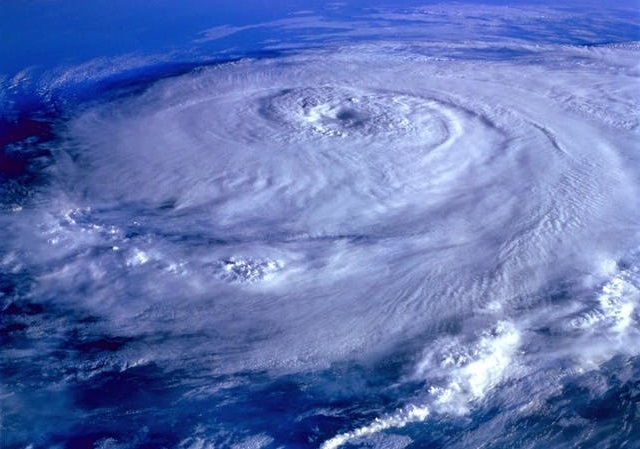 Follow the hurricane timeline preparedness checklist, depending on when the storm is anticipated to hit and the impact that is projected for your location. 1. If you’re not in an area that is recommended for evacuation, plan to stay at home or where you are and let friends and family know where you are. 2. Close storm shutters, and stay away from windows. Flying glass from broken windows could injure you. 3. Turn your refrigerator or freezer to the coldest setting and open only when necessary. If you lose power, food will last longer. Keep a thermometer in the refrigerator to be able to check the food temperature when the power is restored. 4. Turn on your TV/radio, or check your city/county website every 30 minutes in order to get the latest weather updates and emergency instructions. 1. Turn on your TV/radio, or check your city/county website every 30 minutes in order to get the latest weather updates and emergency instructions. 2. Charge your cell phone now so you will have a full battery in case you lose power. 2. Bring loose, lightweight objects inside that could become projectiles in high winds (e.g., patio furniture, garbage cans); anchor objects that would be unsafe to bring inside (e.g., propane tanks); and trim or remove trees close enough to fall on the building. 3. Cover all of your home’s windows. Permanent storm shutters offer the best protection for windows. A second option is to board up windows with 5/8” exterior grade or marine plywood, cut to fit and ready to install. 2. Build or restock your emergency preparedness kit. Include food and water sufficient for at least three days, medications, a flashlight, batteries, cash, and first aid supplies. 5. Avoid walking or driving through flood waters. Just 6 inches of moving water can knock you down, and one foot of fast-moving water can sweep your vehicle away. 6. Avoid flood water as it may be electrically charged from underground or downed power lines and may hide dangerous debris or places where the ground is washed away. 1. Know your hurricane risk. Talk to your local emergency management agency. 2. Make an emergency plan. 3. Build or restock your basic disaster supplies kit, including food and water, a flashlight, batteries, chargers, cash, and first aid supplies. 4. Consider buying flood insurance. 5. Familiarize yourself with local emergency plans. Know where to go and how to get there should you need to get to higher ground or to evacuate. 6. Stay tuned to local wireless emergency alerts, TV, or radio for weather updates, emergency instructions, or evacuation orders.